Well, you have definitely been living under a rock or more likely a mountain if you haven’t ever heard the word “Pashmina” before in your life. 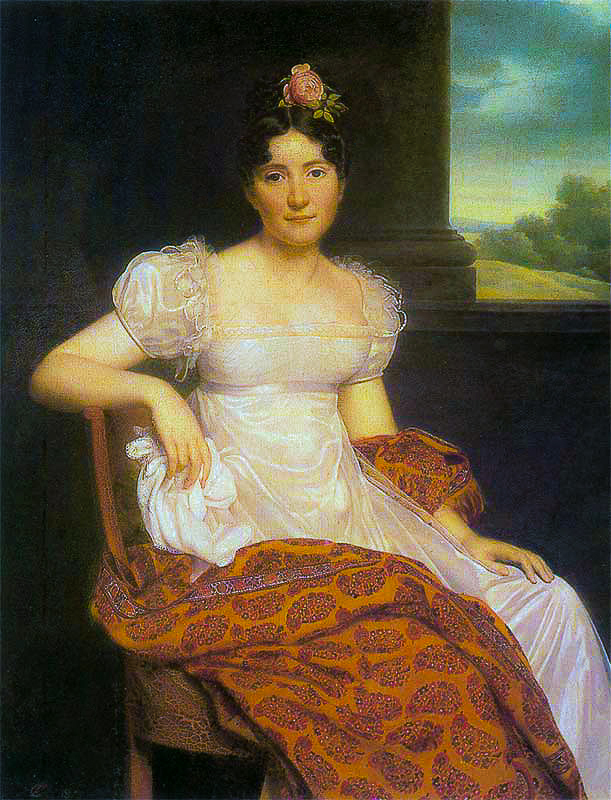 Regardless, the story of Pashmina will never stop being fascinating to me. My Kashmir origins draw me to its magnificent beauty and glory every single day. I dream of the time I will possess a real authentic hand embroidered Pashmina of my own. If, for you, the only reference of the word Pashmina has been the much famous song ‘Pashmina Dhaagon Ke Sang” from the movie ‘Fitoor’, then there is a lot of knowledge you could use on the fabric that is as light as air and yet as warm as having a thick blanket on. For centuries, the luxury Pashmina was only sought by the elite and the aristocrats and was handed down generations as an inheritance. Till the late 1980s, the Pashmina was a status symbol not only in the local high society but also across the world. It was also a vital addition to wealthy woman’s dowry in India, Pakistan, and Nepal. The Pashmina is a type of cashmere wool but a very fine type of it. The wool comes from different breeds of the Cashmere goat. The fact that separates the pashmina from the common cashmere is that the Pashmina fibers are finer and thinner than the generic cashmere fiber and therefore ideal for making lightweight apparel like fine scarves and shawls. 4. The Pashmina is the second most expensive fiber in the world only after Vicuña. The excessive pricing of the original Pashmina is due to the amount of expert and skilled craftsmanship combined with the intricate embroidery that goes into creating each shawl and the rarity of the pashmina wool. 5. 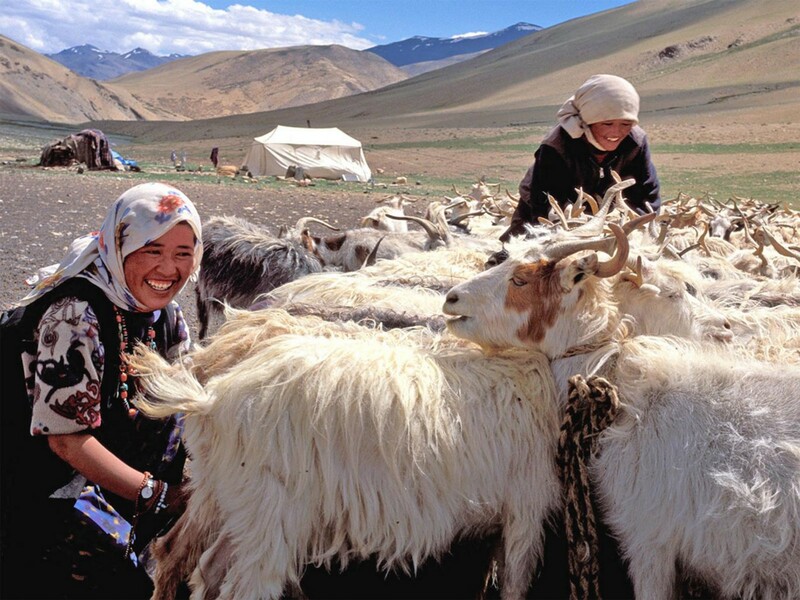 The Changpa community of Ladakh rear pashmina goats for wool. The raw wool is then exported to Kashmir where all the following steps of combing (that includes removing the impurities), spinning, weaving, intricate embroidery, and giving birth to the final product are traditionally carried out by hand. 6. 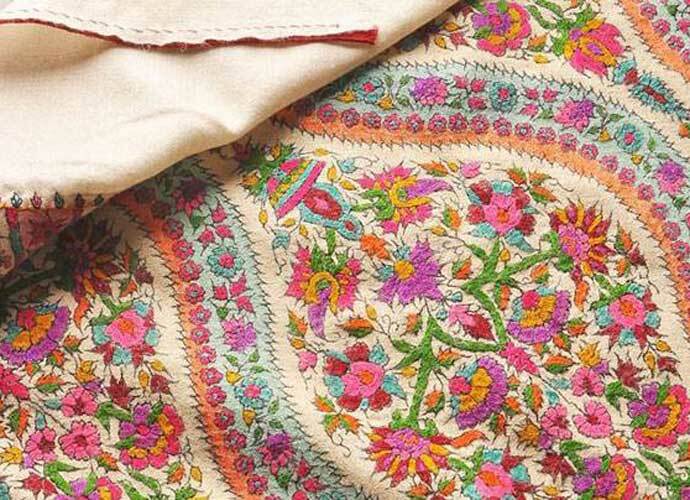 The Pashmina textiles were first woven in Kashmir. And the major center of Pashmina fabric production is still in the old district of the city of Srinagar. 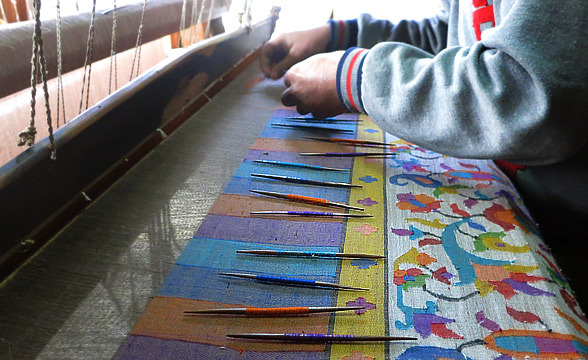 It is only in Kashmir that the community evolved a process to transform it into a fabric as fine as art! Behind the final finished product that is an artwork in itself, there are layers and layers of hard work, patience and long tiring days put in by the master craftsmen. And since the traditional method follows that every process is carried out by hand, the approximate time put into producing as basic as a single pashmina stole or a scarf is up to 180 hours.